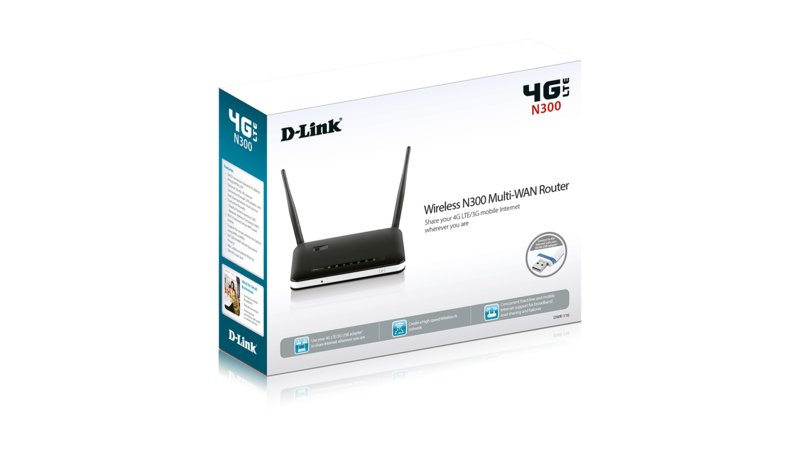 The DWR-116 Wireless N300 Multi-WAN Router allows you to share superfast 4G LTE/3G mobile Internet3 simultaneously to your smartphone, tablet, notebook and desktop computer. Universal 4G LTE/3G USB dongle support from any mobile operator3, this is router is the ideal solution for setting up a Internet connection for work to share with your colleagues or when you are on holiday with your family and friends. Wireless N allows you to create a fast and secure high speed personal hotspot with wireless speeds of up to 300 Mbps1. Simultaneous 4G LTE/3G mobile Internet and fixed broadband Internet support allows you to combine Internet connections to give you faster Internet speeds. You can also set up fail-safe Internet should either connections fail. Create a load sharing and fail-safe Internet connection with simultaneous 4G LTE/3G mobile Internet and fixed broadband Internet support A 10/100 Ethernet WAN port allows you to attach a DSL/Cable modem as the primary or backup link, while auto-failover ensures an uninterrupted connection by automatically connecting to your 4G LTE/3G network whenever the WAN link is lost. Load sharing function allows the Internet connections to be combined to give you faster Internet speeds. The built-in QoS management feature also prioritises traffic to ensure that the most important data receives optimum bandwidth. The DWR-116 supports the latest, high-speed 4G LTE mobile broadband technology, allowing you to achieve blazing fast mobile broadband speeds. 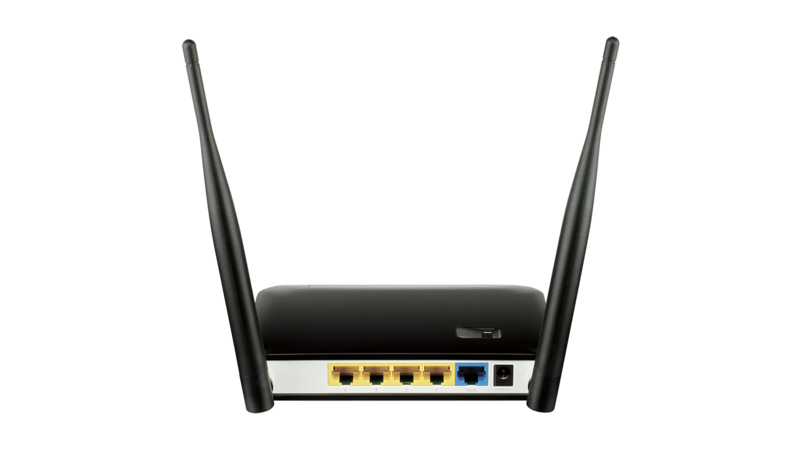 In addition to this, the Wireless N300 Multi-WAN Router’s N300 technology means that you can connect wireless clients to the router at up to 300 Mbps, with the enhanced range and reliability of the 802.11n wireless standard. 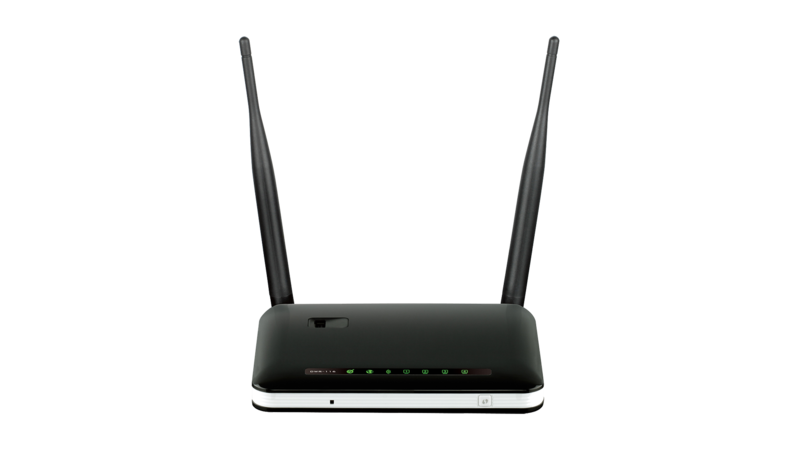 The DWR-116 ensures a secure Wi-Fi network through the use of WPA/WPA2 wireless encryption. Simply press the WPS button to quickly establish a secure connection to new devices. The DWR-116 also utilises dual-active firewalls (SPI and NAT) to prevent potential attacks and intrusions from across the Internet. 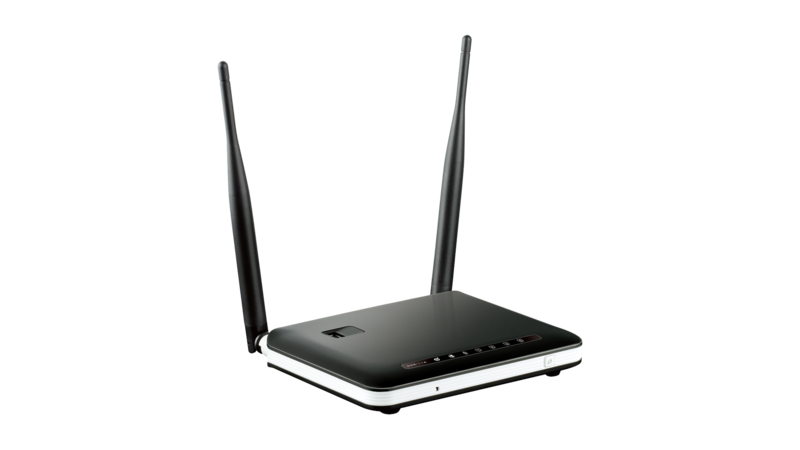 2 Maximum wireless signal rate derived from IEEE Standard 802.11g and 802.11n specifications when used with related Wireless N 300 devices. Actual data throughput will vary. Network conditions and environmental factors, including volume of network traffic, building materials and construction, and network overhead, lower actual data throughput rate. Environmental factors may adversely affect wireless signal range. Wireless range and speed rates are D-Link relative performance measurements based on the wireless range and speed rates of a standard Wireless N product from D-Link. 3 4G LTE/3G dongle not included. Please consult D-Link website for a list of compatible 4G LTE/3G USB dongle. Additional 4G LTE/3G USB dongle may be supported with future software updates. Please check regional mobile operators for 4G LTE/3G mobile Internet availability.